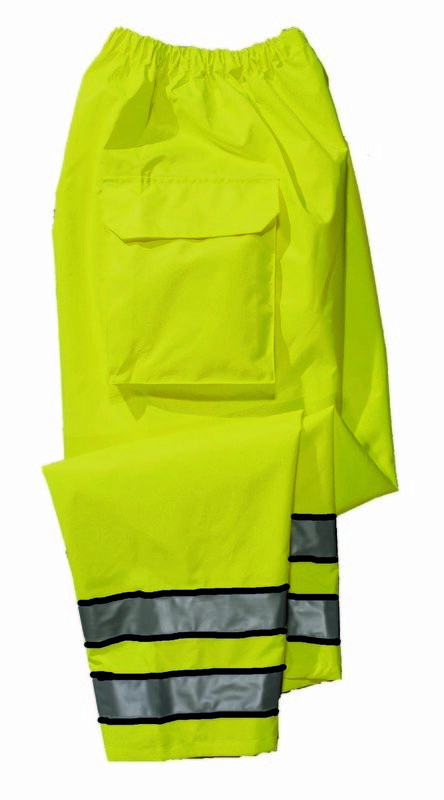 The Viz Tech Pant is ANSI 107 Class E compliant for high visibility. The BioTex waterproof breathable outer shell is also ASTM F 1671 tested to be Blood Borne Pathogen Impervious. There are cargo pockets on both thighs. It has an elasticized waist for a comfortable fit. Double stripes of Scotchlite reflective trim with black edging around the lower leg.